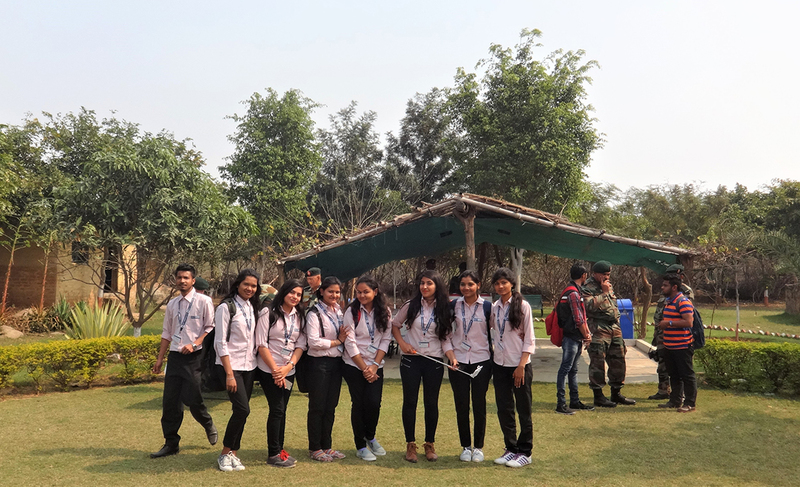 On 21st February, 2017, UG and PG students of the Faculty of Physical Sciences were taken on an educational tour to Asola Bhatti Wildlife Sanctuary, which lies at the southern edge of Delhi at Asola near Tughlakabad in the Delhi National Capital Region. There has been a history of illegal mining within the sanctuary for red badarpur sand and stone. The surrounding area is also known as Bhatti mines. There are large open and deep pits in the ground all over the sanctuary, lying abandoned for years. It is a very good centre for conservation education and nature interpretation programs.